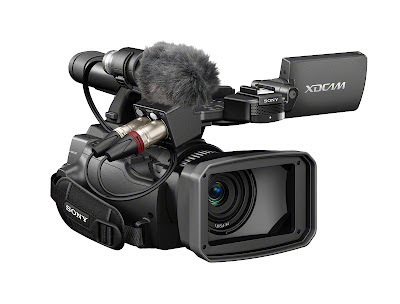 The Sony PMW-100 is a small handheld camcorder that can hang with the big boys.The PMW-100 closes the gap tighter between consumer camcorders and professional broadcast quality equipment. It supports full-HD video up to 50Mbps and uses MPEG HD 422 compression technology. A great thing that Sony makes clear in the PMW-100's press release is that they took the advice of the users who wanted a smaller, lighter XDCAM. It will be available this May and we will keep you updated on pricing and where to buy. If anyone has more info on the Sony PMW-100 please leave a comment or 10.